Franklin Pridgen, Wesleyan (Norcross). Coach Pridgen has his Wesleyan Wolves back in business in AA football. In what was perhaps the best matchup in the state on September 25th, matching the AA 4th ranked – undefeated and region foe – Pace Academy vs. the AA 8th ranked Wesleyan. The final outcome was Wesleyan 18-9 in a hard fought and ‘lights out’ game with a great atmosphere provided by the home team Wolves. Pridgen, who was the Touchdown Club of Atlanta’s Coach of the Year in 2008, has the Wolves back in contention in AA. 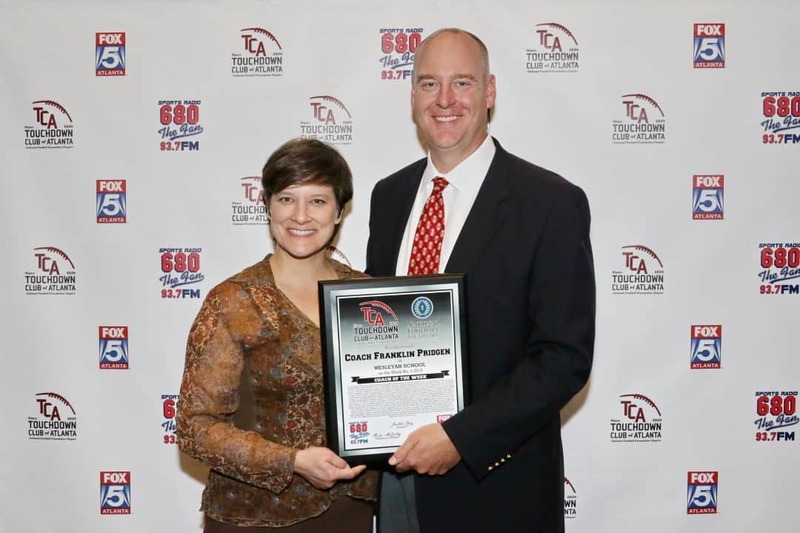 Congratulations to our Coach of the Week, Franklin Pridgen.